Over the past several years, the interaction customers have with businesses where they dine has deepened. It’s not just about great tasting food or a dedicated staff – guests want to feel connected to a business’ mission and support local and sustainable concepts. These new customer expectations aren’t a burden, but rather an opportunity for you to share your brand and build customer loyalty. 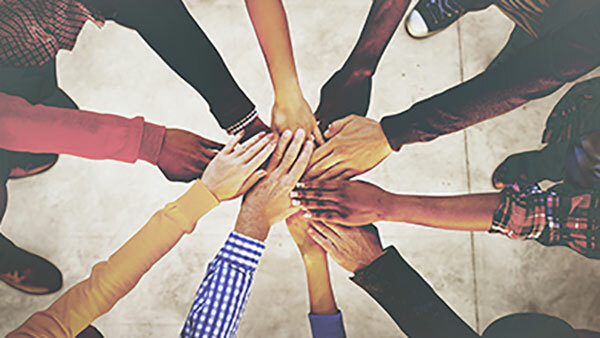 One of the quickest ways to connect with your current and potential customers in a meaningful way is by getting involved in the community. Here are five easy ways to become a community involvement rock star. There are always fundraisers and auctions happening in your community. Donating gift certificates not only shows you care, but can bring in new customers. If you don’t have the financial resources – what about donating your space for a charity event or community meeting? If that won’t work – how about donating your walls to feature paintings or artwork by local artists? Don’t forget that many local shelters can also take leftover food and possibly even coordinate a daily pickup. Getting involved doesn’t have to cost you a dime – just your time. Find a group who shares your values and offer up your services. Roadside or beach cleanups are very popular or put your culinary skills to work at a local soup kitchen. You can even volunteer closer to home by offering to pull weeds at a local farm from which you buy. A charitable dinner is a great way to bring your skills to the table and partner with a local organization or charity in need. People come to dine, just like normal, but at the end of the meal, you donate a percentage of the proceeds to your charitable partner. The results are win-win: a grateful charity and lots of free promotion for you. A unique restaurant in Kalamazoo, Mich., Feed the World Café, has built its entire business plan around the philosophy of a one-for-one format – meaning for every meal sold, the financial equivalent of a meal is donated to the community. Now, that’s a charitable dinner any time! If you don’t have the resources to create a new event, there are likely dozens of existing fairs, festivals and fundraisers that are looking for partners just like you. Earth Day Parade, anyone? How about a fundraiser to clean up local water sources or a wildlife benefit? There are lots of opportunities for branding and don’t forget everyone loves a giveaway, so bring plenty of stickers, pens or coasters to pass out. You’ve got all kinds of valuable knowledge – why not share it? Show kids from your area Boys & Girls Club some culinary prowess. Partner up with a local bookstore or wine shop for creatively themed events or sharpen your knives and do a demo at the farmer’s market. No matter how you decide to get involved in your community, remember to have fun and make it meaningful to you. Your customers will feel the difference. When you invest in your community – everyone benefits from the results.